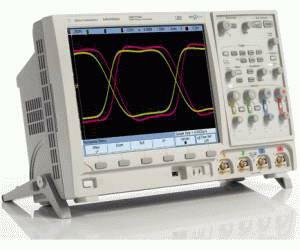 Agilent’s InfiniiVision MSO7014A, equipped with a 12.1” XGA display, comes in a quiet package that is just 6.5” deep, and weighs only 13 pounds. With the world’s fastest uncompromised update rate, up to 100,000 waveforms per second, see subtle signal detail and infrequent events other scopes miss. A wide range of application packages provide rapid measurement insight.